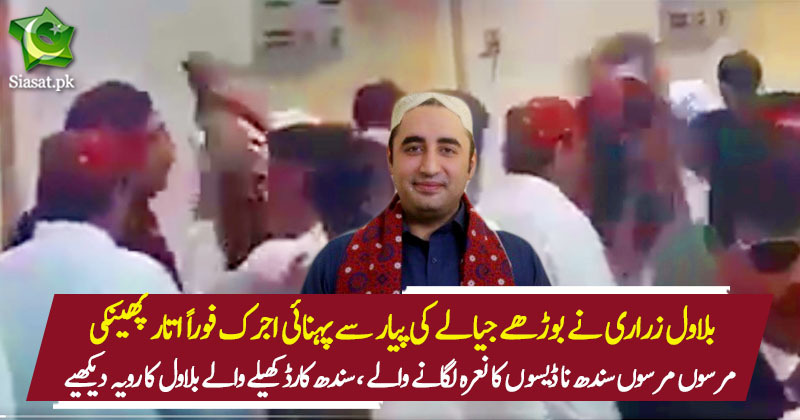 Ye Sindhi hi Chawal hain Jin hon nay Bhutto Zinda rakha huwa hai. Ye Qaum ishi Qabil hai. That Ajrak will be sold for $ million on “Darbari EBay “ coz it was touched by bilo rani. Majawaroon ki kul auqaat. Kal ka Londaa inn ka leader bann kar innein THUDEY maar raha hai. These people deserve to have their gifts thrown back to them for being stupid enough to support them in the first place. wasn't he pushing the old man?